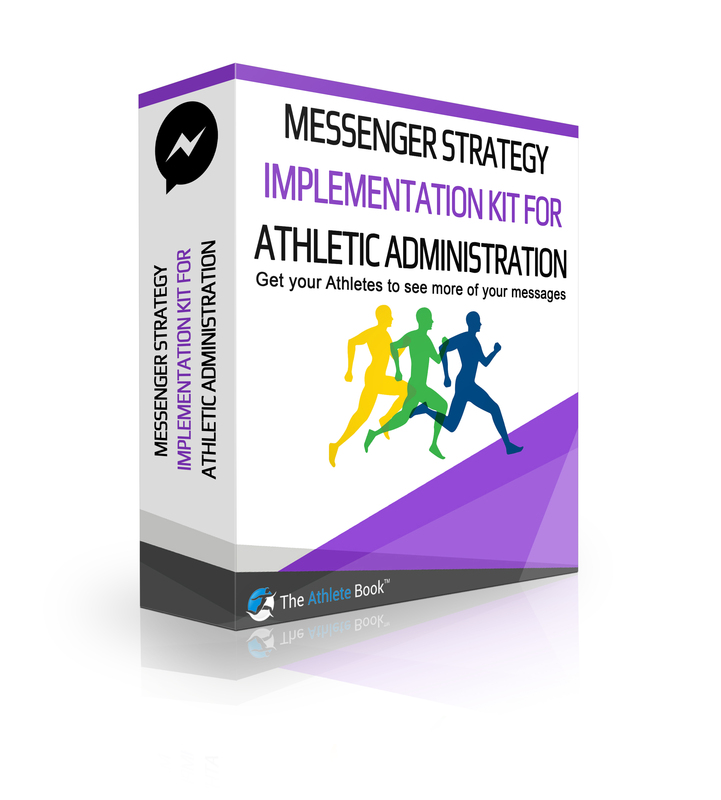 Includes Video modules, Jobs listings and a whole new way to get your athletes to open and engage with your messages. Delivered in one, affordable PDF. The Athlete Book's I.E.C. Framework for college athlete career development is the foundation of our service offerings. Through our partnership with Traitify, we offer athletes a career fit personality assessment that takes 90 seconds to complete. Assessment outcomes frame perspective on all of life's possibilities. Coaches have a clear insight to the personality make-up of their entire team. When you invest in The Athlete Book, your athletes gain access to our career training library. Premium content created and curated to teach athletes about various industries, jobs, and companies. Online hiring events offer a virtual window into employer brands nation wide. Your athletes will make real connections with campus recruiters that want to hire college athletes. Online hiring events are an ideal solution for they busy college athlete. Events are mobile friendly and chat-based. We believe college athletes need help understanding what their core traits are and how they translate to a future career. Assessments are easy to take on any device. Only takes 90-seconds on average to complete, so your athletes actually complete the assessment and learn about themselves. Athletes are sought after by our clients. Online hiring events act as an inside referral source. The Athlete Book opens the door to opportunity and we teach athletes what to ask so they stand out. Premium employers have Career pages on our site so athletes can learn about the company, sign up for an event, and apply to openings. More time than any candidate receives at a traditional career fair. We distribute training content before events so that athletes know what to ask and what to look for in an employer. Learn how to build a resume, LinkedIn profile or how to nail a first-time interview. Administrators, coaches and athletes are encouraged to submit video training request. Our goal is to provide athletes with how-to videos where ever possible. Once a month, CEO & Founder, Ryan Drummond reviews employer opportuniites and answers athletes' questions. The Athlete Book records interviews with campus recruiters. We also have an in-house studio to bring in special guests. Paying universities grant their athletes access to all premium training content. 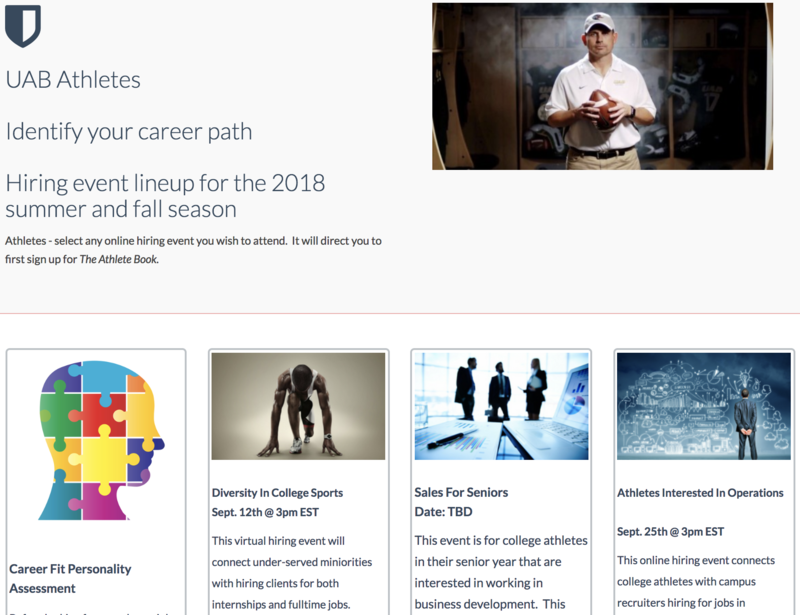 Centralize career resources for athletes onto one page. A dedicated account manager will setup and maintian your page. University-branded pages on The Athlete Book is where hiring events, featured athlete job postings, personality assessments, and career trainings are listed. Make career development a competition among your sports teams, The Athlete Book will post the leaderboard.